Minecraft Story Mode the Complete Adventure is an episodic point and click adventure game. It plays just like The Wolf Among Us and The Walking Dead. The Complete Adventure has all eight episodes. That is two different stories with four episodes each. The series has some outstanding voice talent behind the characters. Comedians/Actor Patton Oswald and Brian Posehn play major roles in the series but you only get Patton Oswald if you choose a Male version of Jessie when you start episode one. Ashley Johnson who plays the voice of Ellie in The Last of Us in also featured. The fact that Minecraft the Complete Adventure has a E10 rating will change how this game plays out compared to other games. Most episodic point and click adventure games from TellTale are rated M for Mature. This means that the choices have very strong and at times life or death decisions you must make. 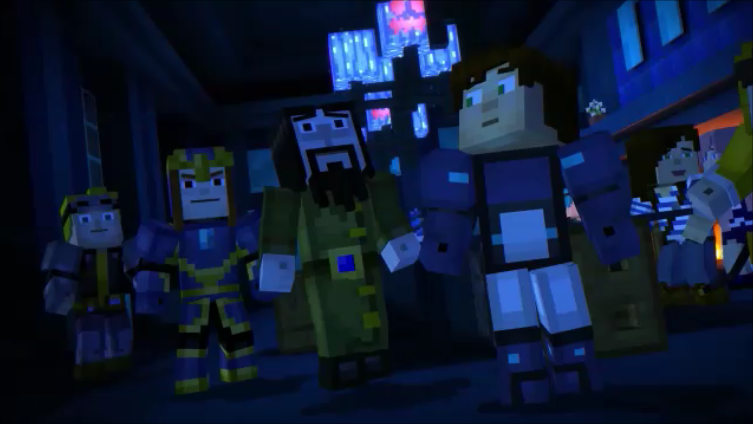 The choices carry a little less weight to them in Minecraft Story Mode. This is especially true for the last four episodes or the Adventure Mode DLC pack. The decisions you make don’t really effect the overall direction of the story or the development of the characters that much. Minecraft the Complete Adventure took us between 10 and 12 hours to get through both games. Each episode is about a 1 1/2 long. If you are a fan of games like The Walking Dead, Batman a TellTale Game Series and Tales from the Borderlands then you might find Minecraft the Complete Adventure a little lacking. The story does have depth to it but the replay is only about average to below average. We are mostly used to playing these types of games over and over to get different endings but in the Minecraft version you seem to end up in the same place regardless of what decision you make. 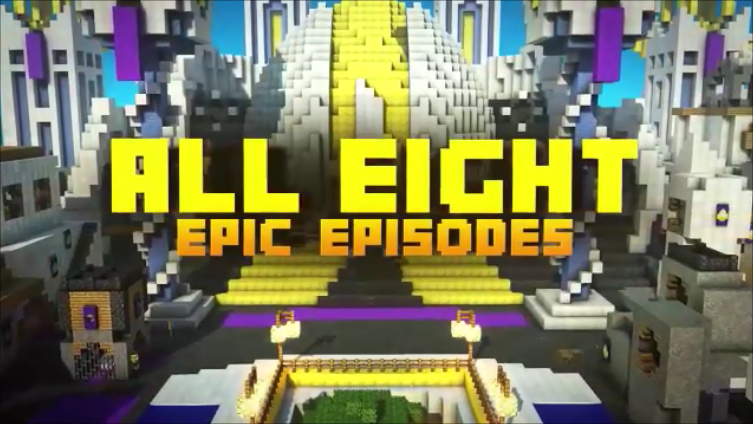 But if you are a fan of Minecraft and you have never played a TellTale game or an episodic point and click game then this is a perfect game to try out and see if you like them. Minecraft the Complete Adventure is worth paying $25.00 for and if you find it for under $15.00 it is a Must Buy Price! We just wish it had more replay value.